Keflavik: a town that may be the darkest place in Iceland, surrounded by black lava fields, hemmed in by a sea that may not be fished, and site of the U.S. military base, whose influences shaped Icelandic culture from the '50s to the dawning of the new millennium. Ari - a writer and publisher - lands back in Keflavik from Copenhagen. His father is dying, and he is flooded by memories of his youth in the '70s and '80s, listening to Pink Floyd and the Beatles, raiding American supply lorries and discovering girls. And one girl he could never forget. Layered through Ari's story is that of his grandparents in a village on the eastern coast, a world away from modern Keflavik. For his grandfather Oddur, life at sea was a destiny; for Margrét its elemental power brings only loneliness and fear. 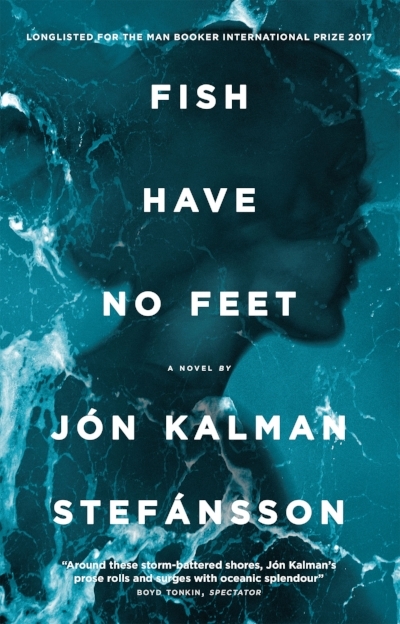 Both the story of a singular family and an epic that sparkles with love, pain and lifelong desire - with all of human life - Fish have no Feet is a novel of profound beauty and wisdom by a major international writer. — NORA MOHANEY, Irish Times.